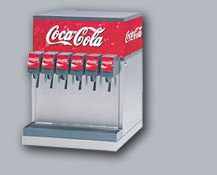 We are the oldest coca-cola fountain distributor in our trading area and we carry a full line of products in 5 gallon or 2.5 gallon bag-n-box containers. Our juice products are produced fresh weekly in our own plant under the FDA guidelines of "good manufacturing practices" to ensure only the best products for our customers. We have been making the perma-fresh line of cocktail mixes and sweet and sour since acquiring Calevas Foods in the mid 1980s. We also co-packed for national companies such as Capri Sun, Red Rose Tea, Texas Pete Hot Sauce and most recently Roaring Lion Energy Drink.